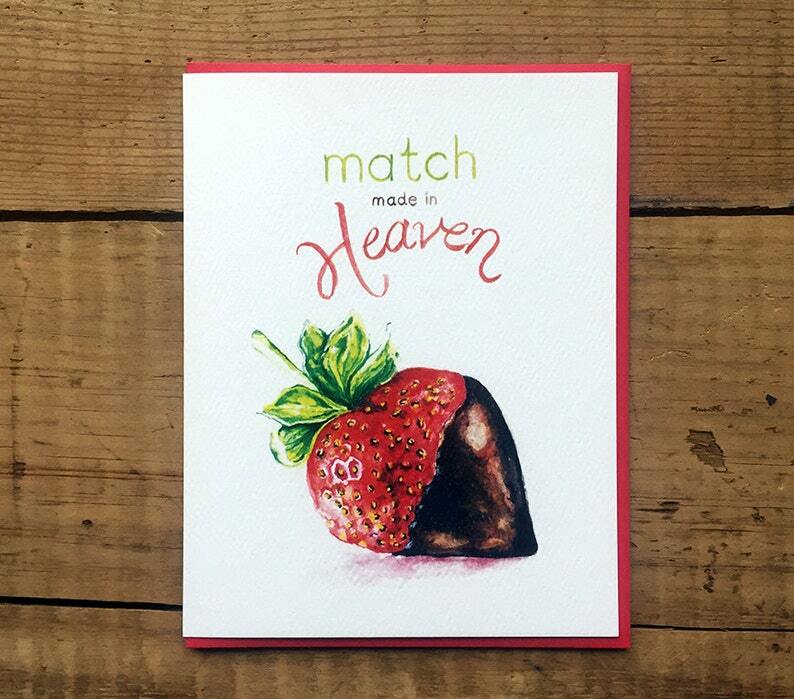 Chocolate + Strawberry = Match Made in Heaven! So who's the chocolate and who's the strawberry in your relationship? This is the perfect card for any loving couples! - Choice of romantic colors (red, pink, brown) from Ashley Announcements. Valentines Day Card / Love Card / Romantic Card / Introduction Card / Why Hello THere / Why Aloe There / Ice breaker card to break the ice!